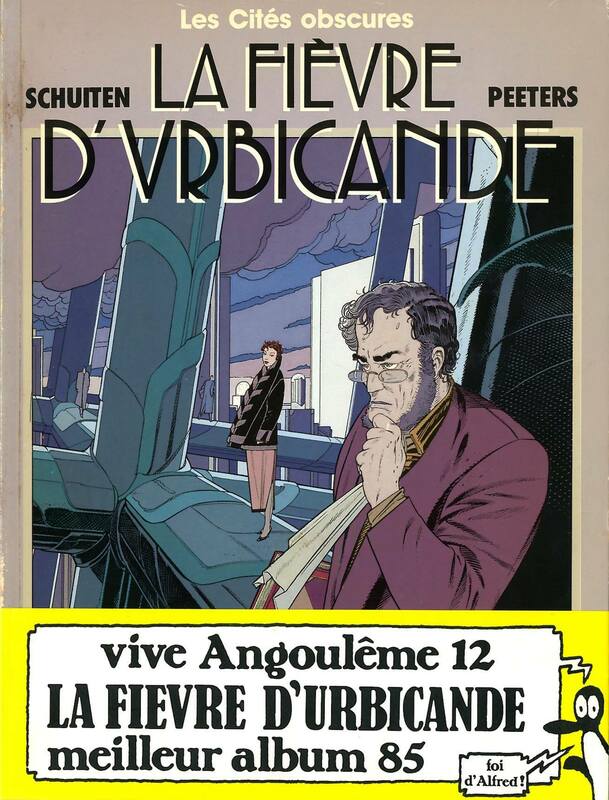 La Fièvre d'Urbicande [Fever in Urbicand] is the second volume of the chronicles of the Obscures Cities, published in 1984. This story, which made its debut in the September 1983 issue of (A Suivre), was conceived from the start to be published in black and white. This was not a matter of financial considerations, but an artistic choice: the whole album has a turn-of-the-century engraving look perfectly in tune with the plot. We even see a street called Maserel, named after a famous engraver of that period. At 94 pages, this story ran for considerably longer than the 48 that used to be considered an unbreakable tradition of the Franco-Belgian school of cartooning. A 1992 re-edition of the album also includes a report by Isidore Louis, from L’Archiviste, about the Network and its effects on the social fabric of the Obscure World. The original term Réseau has been translated by “Web” in some English versions, but “Network” is more accurate. The deluxe edition of 1983 had an added booklet: Carnet de voyage. A very rare booklet these days. 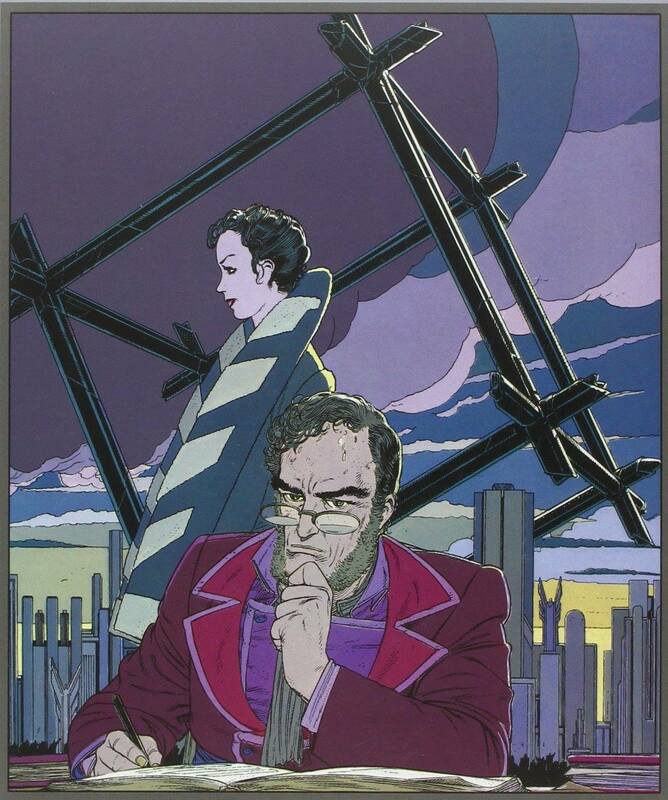 At the 1985 comic festival of Angoulême La Fièvre d'Urbicande won the award for best album. Former president François Mitterrand visited the stand of Casterman during the 1985 festival. You can see Benoît Peeters and François Schuiten on the right in the picture. 1985 La Fièvre d'Urbicande French Casterman 108 HC 2203337095 Deluxe edition. 1020 copies. Including numbered and signed travelnotes.